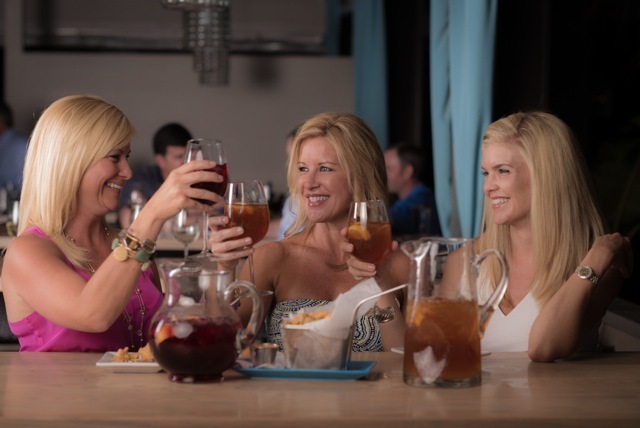 Want to experience North Florida’s most creative seafood at a one-of-a-kind venue with a welcoming coastal casual vibe? Then take a seat on the Front Porch, Tallahassee’s premier destination for Gulf Coast cuisine. This restaurant’s signature Southern hospitality starts with the two-story wrap around porch that gives the Front Porch its name. This, like every shady Southern porch, is a place to relax and connect. Enjoy some ice-cold oysters from the Raw Bar or while away a Sunday morning with our legendary brunch. At the Front Porch, Chef Katie Spetman kicks the tastes of Florida up a notch, with the freshest farm to table ingredients and straight-out-of-the-net local catches. Imagine, for starters, oysters just up from Apalachicola baked with Alligator Point clams in a yummy appetizer or a platter of locally sourced Sweet Grass Dairy cheeses and pimento cheese made right on the premises. Front Porch grits aren’t just grits; they’re Bumpy Roads smoked gouda grits. Other favorite appetizers include our popular revamp of the hushpuppy, Porch puppies, made with green chiles. Pair these dishes with delicious entrees like Gulf shrimp or crab-crusted filet, and you’ll be hooked on the Front Porch’s unique take on Southern comfort food. The Front Porch is a place to hang out — come watch the game, check our our family-friendly Funday Sunday brunches every other week, or nurse your post gameday hangover with one of our special mimosa carafes. The Raw Bar, the Wahoo Room, the Red Grouper Room, the Tarpon Room, and our upper and lower decks are also all available for your get-togethers, whether it’s a shower, a birthday party, a business meeting or a wedding. We’re even pet-friendly! Fido is always welcome to come along when you’re spending time on the lower deck: Chef Katie will bring out an organic puppy treat for your pooch during Yappy Hour. Whether you are looking for an impressive destination for date night or a place to simply kick back and enjoy terrific food, you will find it at the Front Porch. The Front Porch is located at 1215 Thomasville Road, Tallahassee. Open Monday 4-9 pm; Tuesday-Thursday 4-10 pm; Friday 4 -11 pm; Saturday 11 am- 11 pm; and Sunday 10 am – 9 pm. Brunch is served Saturday 11 am – 2:30 pm, and Sunday 10 am – 2:30 pm. Phone: 850-222-0934.